An expensive refined flavour, a premium choice for this season. This flat fish is a good source of protein and vitamine B as well as it contains minerals selenium, magnesium and phosphorous. 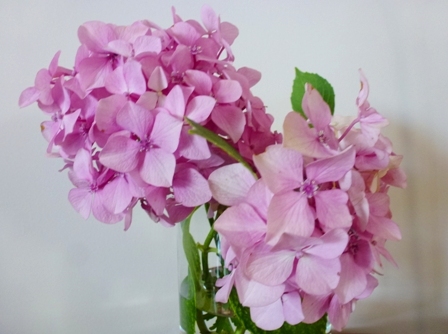 For easy elegance and for its nutrition it is a perfect choice. 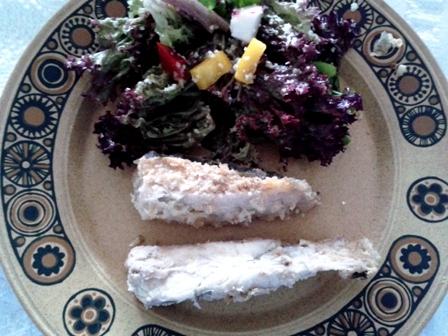 The small turbot is to be avoided as it has very thin fillets. 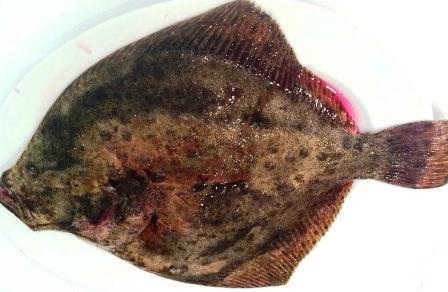 Middle sized turbot more than 1½kg are the most desirable. Your fishmonk will be able to help you to choose for a bright turbot with unsunken eyes. Get the turbot to cut off the head and ready as fillet pieces. Rinse the fish with cold water and then dry it off. Place a non-stick frying pan over a medium heat and add olive oil. For each fillet add 10gr butter. Dip each fillet in a bowl of flour and shake off any excess flour. 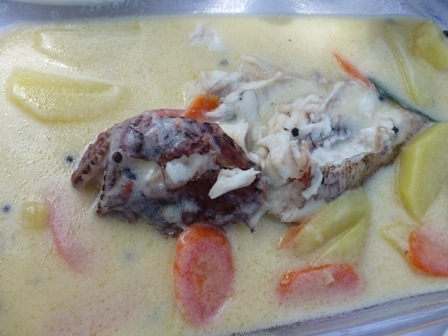 When the butter is melted and foaming, put the fillet one by one and cook both sides until golden. 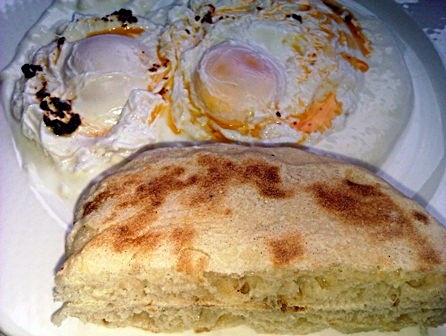 This food can be found on almost every typical taverna of Cunda island. Astonishingly I have tasted a similar stewed dish with scorpion fish at Corfu island. 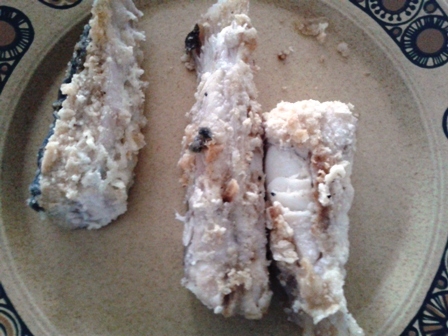 Generally the bony rockfishes stewed or are made soup, otherwise not consumed easily. Their flavour come from the dish base, that is the sauce. Clean the scorpion fish leaving the bone and wash it. 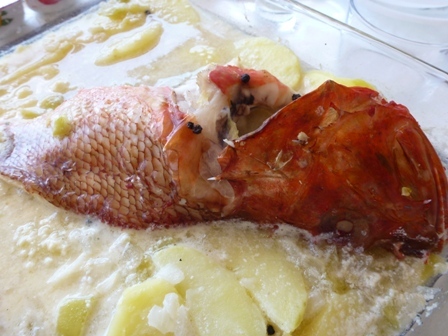 In a pyrex casserole put the cleaned scorpion fish. Add potatoes, onion, garlic cloves, chopped celery stalk with ribs. Season with salt and ground black pepper. Add a small red hot chili pepper. 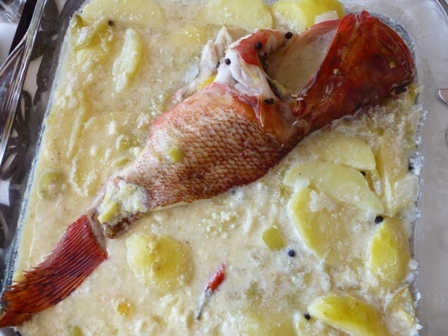 Stew bake them in a medium oven with 1.5 lt. water until the fish flakes easily with a fork for about 35-40 minutes. Before serving beat yogurt with lemon juice. Add to the fish water bit by bit stirring continuously. Finally add it to the sauce. Serve the casserole in the centre of the table with roasted slice of a sourdough bread! 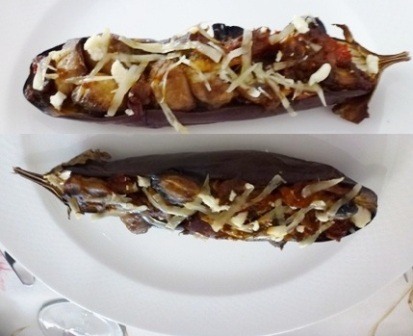 Slice the aubergines in half length ways leaving the stem intact. Brush them with olive oil and place them in a baking tray covered with foil. Bake in 200°C pre-heated oven about 20 minutes until they are tender. 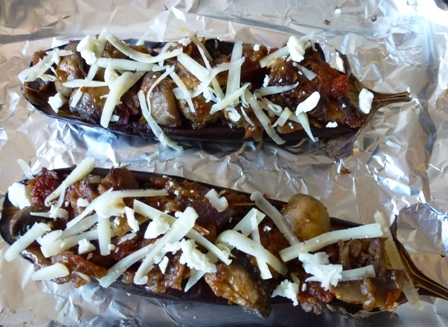 While baking the aubergines, add 1 T extra virgin olive oil to a non-stick frying pan. Add the onion and cook until soft. Tip in the garlic, mushrooms, tomatoes and cook for extra 5 minutes. Season with basil. Finally add mozzarella and breadcrumbs. On each aubergine place some stuffing mixture with the help of a spoon. Drizzle with oil and bake for 20 minutes until they are done. Sauté the onions and garlic in extra virgin olive oil.Add minced beef and banana peppers and stir. Cook for 10 minutes at high temperature. Add tomato paste, salt and pepper flakes to taste. Oil a casserole and layer the bottom with sliced potatoes. 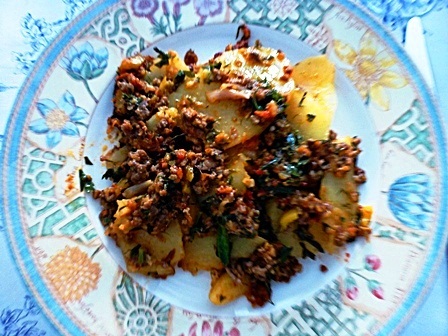 Place the minced beef mixture over the potatoes. Add 1/2 cup water to the casserole. Cook in 200° C preheated oven until the potatoes are tender for about half and hour. Today we have trouble even to remember our mother’s cooking, because foods are designed in laboratories to be more attractive and popular. 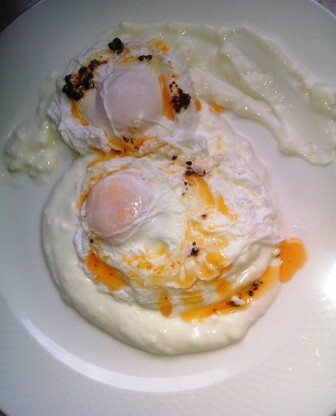 Çılbır (poached egg) is one of our forgotten dish, which comes from 15th century today and please our palate. In a ball, stir well yogurt with garlic. Fill a large skillet with water. Add 1 T white vinegar and bring to boil. When little bubbles come from the bottom of the pan, crack an egg in it. Cook each egg about 4 minutes, until the white is opaque. Take the eggs with a spatula and rinse. The eggs should be wobbly inside, so be careful while removing. In a saucepan, melt butter. When it starts to sizzle, add red pepper and stir. Season with salt. Put yogurt and garlic mix to the serving plate. Place two eggs and garnish with butter, pepper sauce. Serve with a warm pita or an artisan bread. You are currently browsing the main dishes category at Aegeaneating.